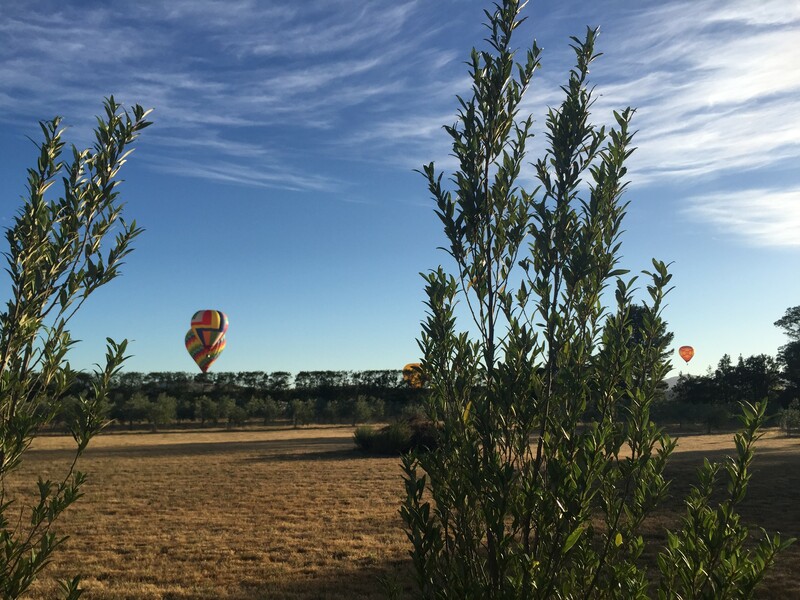 Sunday morning in Martinborough, the wine growing hub of the Wairarapa, hot air balloons filled the blue sky, as part of the ‘Wairarapa Balloon Festival‘. 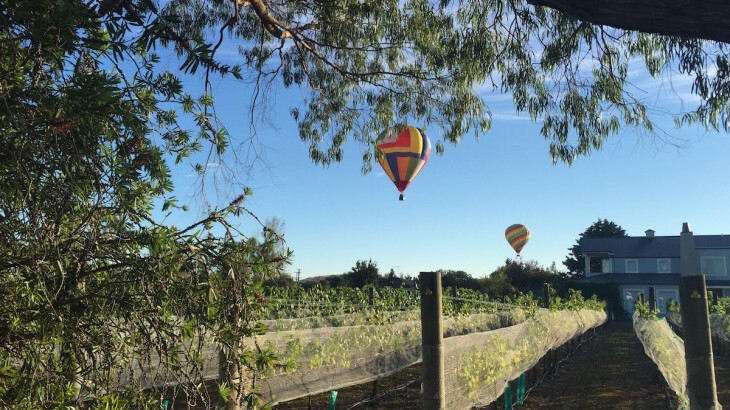 We were lying in bed when we heard a loud, ‘WHOOSH’ of air, and sprang up from our beds – momentarily stunned – before our brains registered what the sound was. 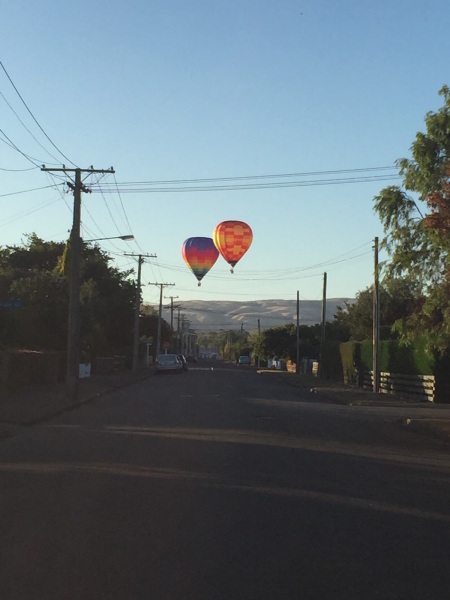 Hot air balloons floating over Martinborough. 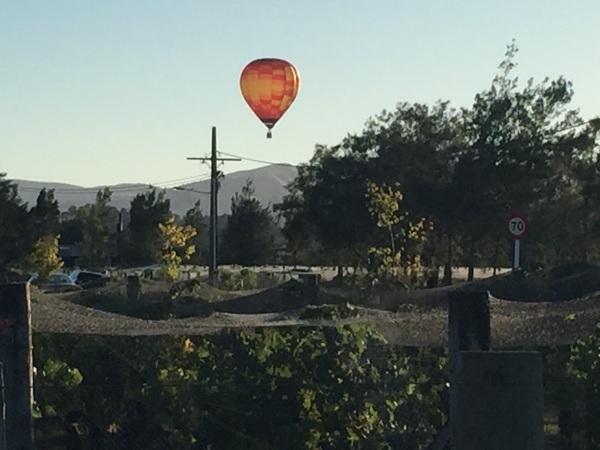 We’d read in the newspaper about hot air balloons meandering over Martinborough in the early hours of Sunday morning, but had partially forgotten – after spending Saturday enjoying the Greater Wellington BreWDay and falling asleep rather late! 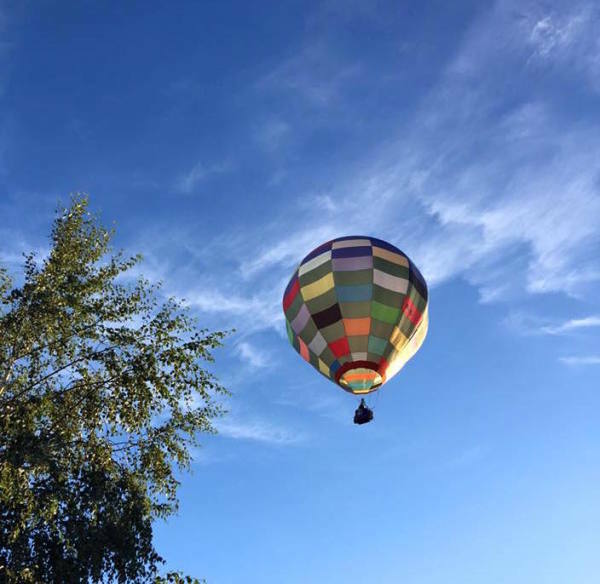 It wasn’t till one flew directly over our house that we remembered – a novel alarm! 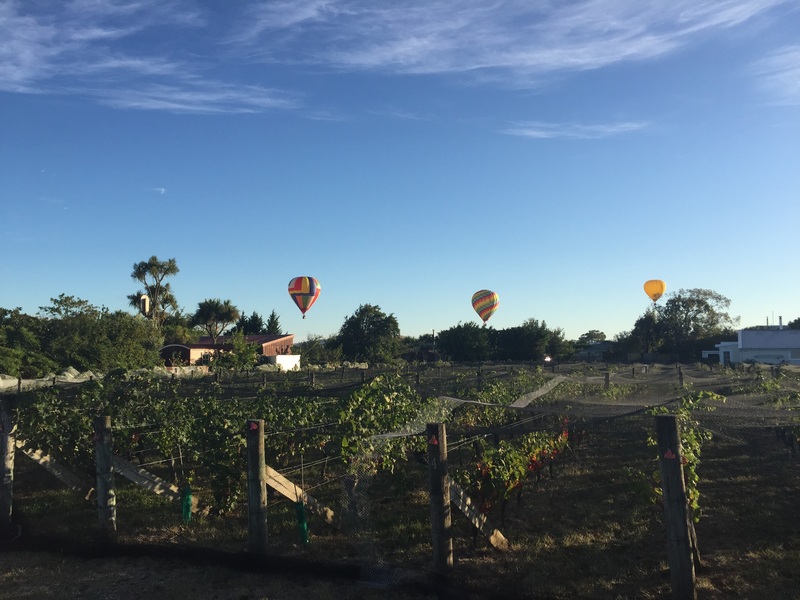 Hot air balloon wake up call – this one flew right over our house! It was around 7am and the children were fast asleep. I sprang out of bed with great excitement, flinging open the curtains to groans and mutterings of, ‘What’s happening?!’. Seeing several balloons floating over the village I nearly ran out the front door in my undies – before engaging brain! From the front door of our house! I quickly flung on some clothes, grabbed the dog’s lead (he was jumping up with excitement and needed letting out for his morning rituals). I starting running toward the balloons, with my iPhone in hand (if I’d had a camera with a decent zoom lense I could have saved myself a lot of running!). 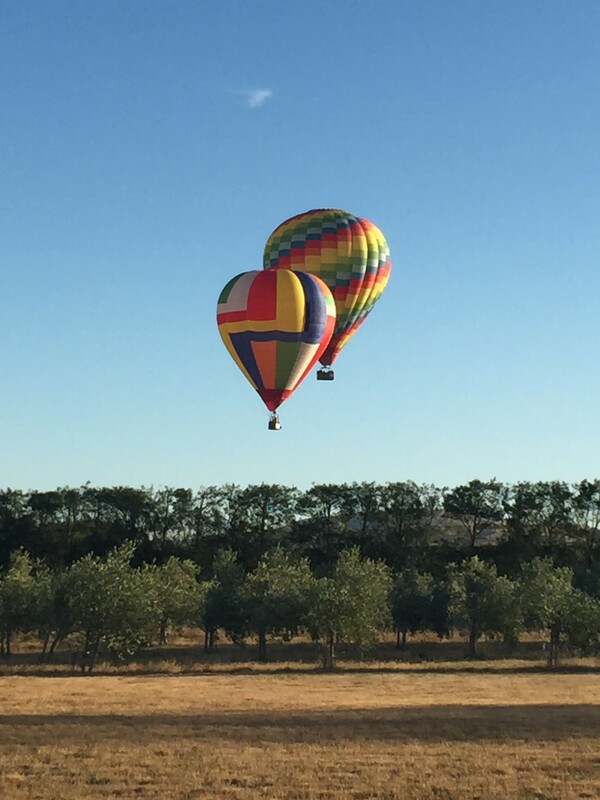 It was beautiful to see the balloons bobbing gently up and down over the vineyards, olive groves and houses. Gliding serenely on a Sunday morning over the vineyards of Martinborough. Trailing the balloons were cars of relatives and friends, waiting to greet the passengers wherever they landed. 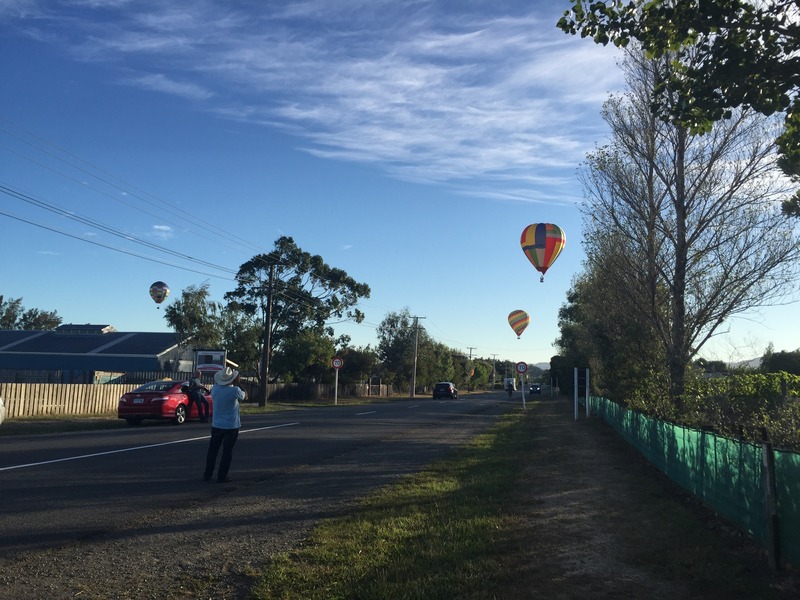 This man stopped to take a photograph, telling me his son was on one of the balloons. They had a very beautiful morning for it and it was a wonderful way to be woken up! Bobbing over olive groves on a sunny Sunday morning. Header, Martinborough, photography, Silent Sunday Hot air balloons, Martinborough, My Sunday Photo. permalink.